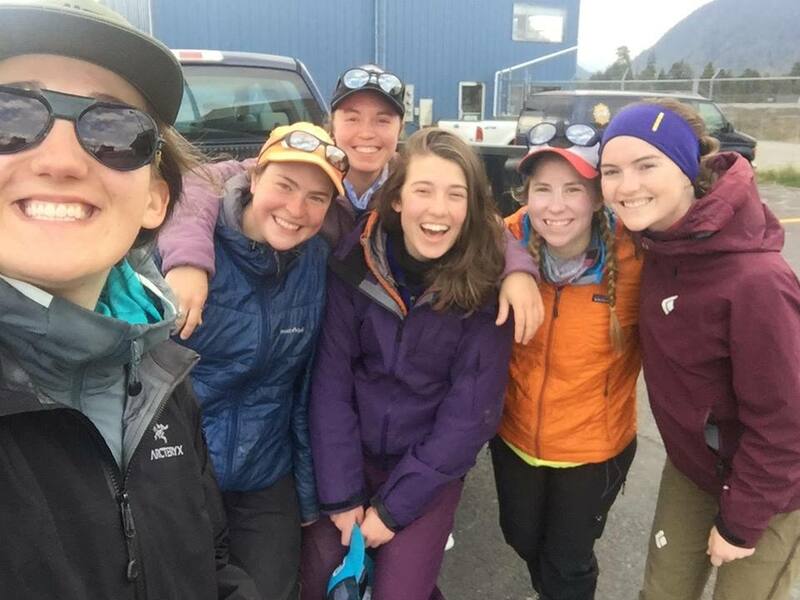 AK Mountain Women is an all-female group that loves human powered expeditions in Alaska. 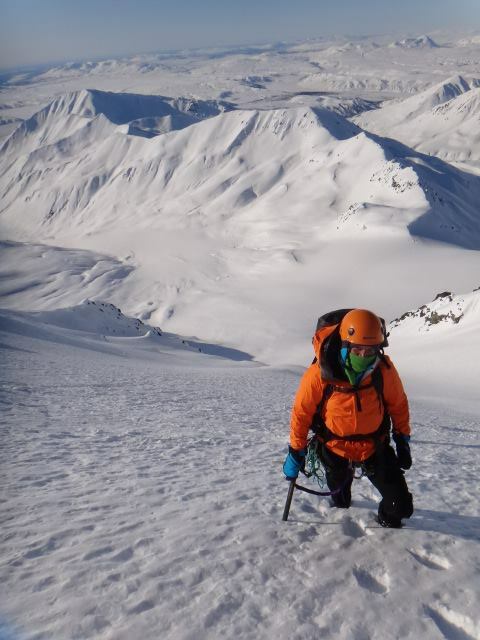 The goal of the group is to cultivate a strong community of local women dedicated to challenging and educating themselves and others about glacial mountaineering and big remote mountains. Every mountaineer has a favorite mountain range, a place that for whatever reason centers them, gives them a piece of mind, creates a sense of belonging. For some, it might be a well-known place like the Sierras: an area of impeccably clean granite towers, speckled with pristine, aqua-colored alpine lakes and a constant supply of near perfect weather. For others, it might be the Swiss Alps, a range steeped in mountain history and culture, with a list of bold and ultra-classic lines too innumerable to count. And for others, like Alaskan climber and mountain adventurer Eric Parsons, it’s the more obscure areas, like the western ramparts of Alaska’s Chugach Mountains, that define their lives. Growing up in New York, Eric spent summers camping and taking cross-country road trips with his family to places like the Canadian Rockies, and the desert southwest. These early experiences created an adventurous mindset that would follow him to college at Colorado State University, and ultimately, the vast expanses of Alaska. Since that time, Eric has created a unique lifestyle for himself that centers around his family and close-knit group of friends, his bike-packing gear company Revelate Designs, and of course, a constant effusion of adventures in the western Chugach Mountains. Last summer, I was fortunate to sit down with Eric to talk about his love for the mountains, the passion and creative drive that led him to start Revelate Designs, as well as the meaningful partnerships and friendships he’s developed through climbing and other outdoor pursuits. To make the challenge a bit more worthy Seth and me decided to ski into the Kichatna Range to attempt the second ascent of the East Buttress of Middle Triple Peak. In this image we were smug with confidence. The weather was fine and we were congratulating ourselves on how light our gear was. Three weeks later we had a slightly different view. We wish we had more food. Photo: Conrad Anker collection / Seth Shaw. After the first day on Middle Triple we camped on a small ledge. The next day was the end of the headwall and we had to jug our lines to get back to the highpoint. What cracks me up 27 years later is the knotted 9/16″ tape aiders we used. It was all part of the deal to minimize weight. The idea was we would un tie them and use the webbing as part of the anchors on the descent. The trip had all the components of a successful adventure. We ran out of food, startled a brown bear just out of hibernation and had to cross a swollen river on the way out. Photo: Conrad Anker collection / Seth Shaw. The East Buttress of Middle Triple was a much sought after climb. It was heralded in Steck and Roper’s “50 Classic Climbs” as one of the more difficult undertakings in the seminal book. After skiing into the range we sat in the tent as the capricious weather played its hand. With food and time running out we went headfirst for the climb. We free climbed as much as possible and when it was too steep or to incipient we aid climbed. Maybe I was wide eyed cause I was scared. Maybe I was hamming it up for the camera. I imagine it was a combination of the two. If you are not scared you are not having fun. Photo: Conrad Anker collection / Seth Shaw. The opening pitches on Middle Triple were sporty. The snow in this part of Alaska tend to stick to the underside of roofs. After inching our way up the crack I had to dislodge the snow under this roof. We enjoyed the location – miles form no where, no one but our half crazed goal of climbing a peak. I guess it was our modern interpretation of a Jack London adventure tale. When we encountered the first person after our three week adventure, a fellow bitten by the gold bug, he asked if we had found gold. When we we replied that no gold was found he wondered aloud, “Why?” I guess gold is in the eye of the beholder. A fun adventure was our gold. The experience was everything. In this sense I’m still mining for gold. Photo: Conrad Anker collection / Seth Shaw. Over the course of an distinguished 30+ year career, Conrad Anker’s adventures have taken him from the bigwalls of Yosemite, to the icy flanks of The Alaska Range, The Himalaya and Antarctica. Although Anker is probably best-known for discovering Mallory’s remains on the north side of Everest in 1999 (and his stunning climb on Meru), it’s his earlier adventures in Alaska that I’ve always been fascinated with. That’s why I was excited to sit down with Conrad this past February, to talk about his formative experiences in the mountains, the friends and partners that meant the most to him, as well as his efforts in environmental activism. Tim next to the Toyota truck that miraculously made it from Alaska to the desert (sans headlights). Tim leading on Black Orpheus (5.9+). Looking up the Thunderbird Wall. The A3+ roof is in the center of the photo, below the horizontal white streak. Me and Scott below the Thunderbird Wall. One of the most memorable positions I’ve ever experienced. In March 1999 I found myself wedged in a sandy chimney, fully-gripped and trembling, five hundred feet off the deck. Me and my partner Scott were attempting to climb The Thunderbird Wall, a grade VI backcountry behemoth in Zion National Park’s Kolab Canyon. The face, which is among the highest sandstone walls in the world, had only been climbed twice since Jeff Lowe and Cactus Bryan made the first attempt in 1971. Scott had been to Zion once before. I had never stood in a pair of aiders. In hindsight, I can only blame the ignorance of youth for leading me to believe I had any business being on The Thunderbird Wall. Many years ago, I saw Jack Tackle give a slideshow in Anchorage. I was in my early to mid-twenties at the time, and mountain climbing was the only thing that mattered. That evening, I listened intently as Jack described icefaces, corniced ridges, and run-out pitches that had long captured my imagination. But I was also impressed by the life-wisdom Jack imparted. His laid back style, coupled with a philosophy about the importance of vision, commitment and trust, resonated in a way that made sense to me. I remember walking away that night feeling inspired, and ready to apply some of Jack’s hard-earned wisdom into my own climbs. But it’s funny how life works. Shortly after the slideshow, I sustained an injury climbing, that effectively ended my career, and irrevocably changed my life forever. Although I went on to make a new path in art and music, I can say without a doubt, that my life was never the same without climbing. Jack too, experienced life-altering injuries that could have ended his climbing career. In 2000, while guiding in South America, he contracted Guillain-Barre, a rare and sometimes fatal disorder in which your body’s immune system attacks the nerves. Although Jack eventually regained his strength, the disease created lasting effects, some of which still linger today. There was also the accident on Mt. Augusta in the Wrangell-Saint Elias, where jack was struck by a falling rock. The impact broke his neck, leaving him paralyzed on the face, and stranded fifty miles from the nearest road. The ensuing high-stakes rescue would become the stuff of legends in the mountaineering world, but for Jack, it was an opportunity to move forward in life, with a new perspective. Fifteen years later, and despite some limitations from his injuries, Jack is still climbing at a high level around the world. Over the years, I’ve watched his career from afar, and often wondered how his brush with Guillain-Barre and the accident on Augusta affected him. That’s why I felt fortunate to sit down and have a face-to-face conversation with Jack this last fall. We talked at length about his climbing career in Alaska, the Himalaya and elsewhere. But we also talked about his life outside the mountains, and how he’s managed to navigate thru challenging injuries and situations. Turns out, if it weren’t for his friends, family and partnerships in climbing, he wouldn’t be where he is today. Down the rabbit hole and pursuing an alpine dream. Approaching the Cassin via the West Rib. Positive vibes. 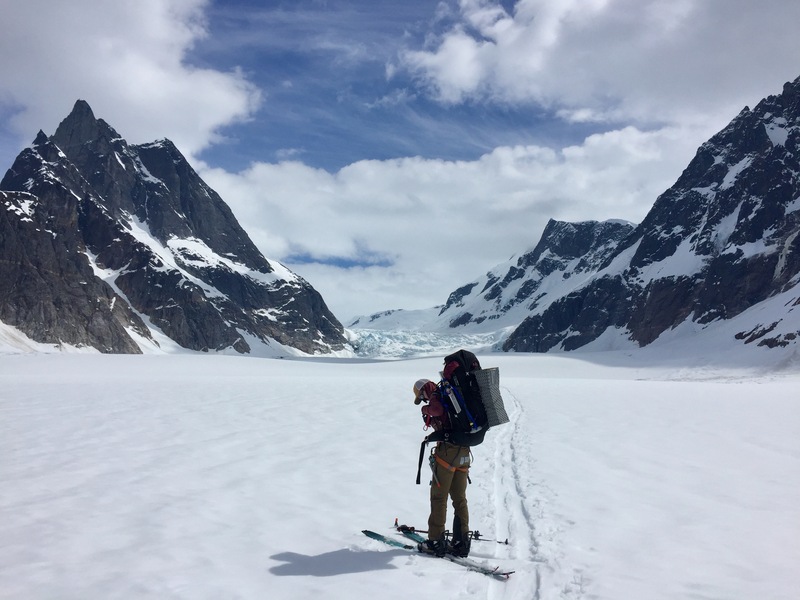 In June 2017, Aaron Kurland and Sam Novey planned to attempt the formidable and rarely-climbed Father and Sons wall on Denali, but when they found the face to be out of condition, they quickly turned their attention elsewhere. The duo settled on the ultra-classic Cassin Ridge, a 9,000 foot spine of ice, snow and granite that snakes it’s way directly up the center of the south face. With a big storm scheduled to hit within the week, the duo planned a 3 day alpine-style ascent. Little did they know, they would soon be at the mercy of Denali’s weather, totally exposed, and fully committed on the Cassin. When I was a kid growing up in Alaska, Vern Tejas was one of my heroes. Back in February of 1988, Tejas made the bold first solo winter ascent of Denali, and in doing so, captured the imagination of all Alaskans, including me. The Denali climb changed Vern’s life. He wrote books, gave lectures and eventually became one of the most sought after high altitude guides in the world. But Alaska never remained far from Vern’s heart, and he returned each year to guide on The High One. To this date, Tejas has summited the mountain a staggering 57 times. A world record. I recently had the privilege to sit down with Vern, and talk about his life in and out of the mountains. From his first adventurous forays of hitchhiking around the country, to his 1st winter ascent of the Lowe-Kennedy route on Mount Hunter, Vern is a larger-than-life figure and a great storyteller. A few weeks ago I got to sit down with outdoor educator and host of the excellent ‘Sharp End’ podcast, Ashley Saupe. We talked about her upbringing in Alaska, her experiences teaching as an Outward Bound instructor as well as discussing what it takes to produce a monthly podcast about accidents in North American climbing. Northeast Buttress of Mount Balchen. South East Face of Mount Hayes. Sam’s line highlighted. Summit block of Mount Balchen. On today’s episode, we’ll get to know Alaskan alpinist Sam Johnson. Growing up in the foothills of the Chugach Mountains, Sam was exposed to the outdoors and mountain environments at a young age. But it wasn’t until his teenage years that he discovered a newfound focus and direction thru climbing. Since that time, Johnson has climbed extensively Alaska, Canada, Europe and even the far reaches of the Karakoram. His quiet first ascents in Alaska’s Hayes Range, including a bold solo on the South East Face of Mount Hayes in 2013, highlight the spirit of adventure and self discovery that Sam seeks in climbing, and in life. I recently sat down with Sam to talk about his trajectory as an alpinist, as well as the things that inspire him on a day to day basis. On this episode of Short Ropes, we revisit my conversation with legendary Alaskan alpinist Carl Tobin (See episode 11). Tobin’s climbs in Alaska’s remote Hayes Range raised the bar for hard alpine climbing in North America in the late 70’s and early 80’s. His climb up the Valdez test piece “Wowie Zowie” is an honest grade 6 ice climb, and was way ahead of it’s time when he made the first ascent in 1981 with the late Andy Embick. In this episode, Carl and I talk about the early days in Fairbanks, his relationship with the enigmatic alpinist Johnny Waterman as well as surviving a deadly avalanche in the Hayes Range in 1984. On today’s episode, we’ll get to know legendary Alaskan alpinist Carl Tobin. With an alpine career that has spanned over 40 years, Tobin continues to be a force in Alaska’s climbing community to this day. In the late 70’s and early 80’s, Tobin and a small group of committed partners, pioneered a number of first ascents in Alaska’s Hayes Range including the east face of Hess Mountain, the northeast face of peak 10,910′ and the historic east ridge of Mount Deborah. 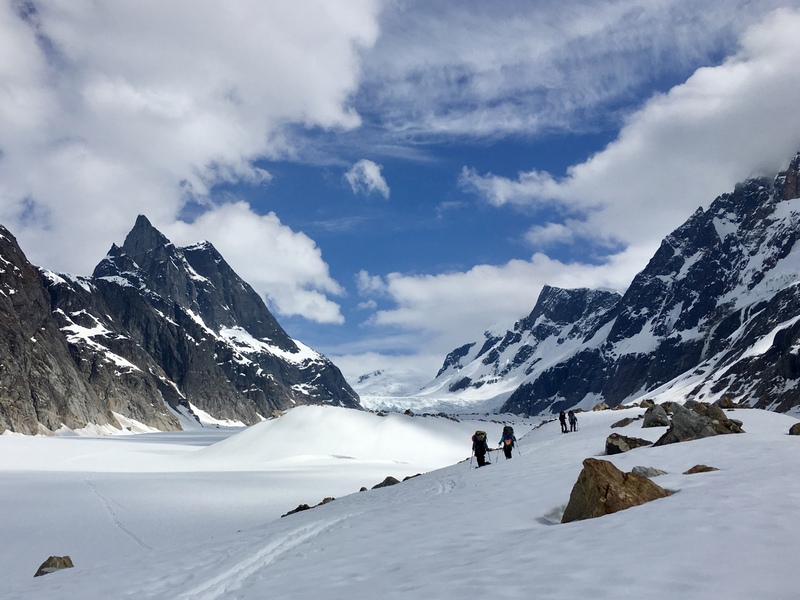 These climbs set the standard for hard alpine climbing in Alaska, and in doing so, inspired generations of climbers that would follow. This last spring, I sat down with Carl at his home in Anchorage, to talk about his early days in Fairbanks, and the whirlwind years in the mountains that followed. Carl seemed wistful that day, as he recounted his years spent climbing in Alaska, the Canadian Rockies and the Himalaya. But it wasn’t just the climbing that had him thinking. It was also the important relationships he’d forged along the way. I first came up with the idea to do The Firn Line in September 2016 – really not that long ago when you think about it. I think the truth is that i’d always wanted to somehow combine my love for the mountains with my creative pursuits. I just wasn’t sure how to do it. I guess you could say I had a light bulb moment when I realized that I could combine my passion for storytelling, the mountains, and music all into one creative outlet. Nine months and ten episodes in, I guess you could say I haven’t looked back. My goal from the get-go was to create a podcast that I would have wanted to listen to back when climbing was the only thing that mattered to me. I’ve thought back to all the endless nights sitting around campfires with friends, all the soggy drives to go ice climbing in Valdez, and all the storm days I whittled away in tents, counting the squares in the ripstop fabric. Back then, I would have loved to have had a podcast like the firn line to listen to. So as I look back today at the beginning stages of this podcast, or rather, this community, I wanted to share “mixtape” from The Firn Line episodes. Some of these moments are light-hearted, while others are pretty heavy. But like every Firn Line episode you hear, all the clips are genuine, in the moment, and real. From a young age, Graham Zimmerman was inspired by the rugged peaks of the New Zealand alps, and later, the cascades of Washington and the pacific northwest. During high school, Graham developed a keen interest in geology and it was then that he would experience his first involvement with mountaineering. But it wasn’t until he returned to New Zealand for University that climbing became the driving force in his life. Since that time, Zimmerman has honed his craft, and over the last decade he’s pioneered a myriad of exploratory routes in Alaska, Patagonia, and most recently, The Karakoram. But for Graham, it’s not just about climbing. Rather, it’s about living an all-encompassing lifestyle that combines exploration, creativity and challenging alpinism. Getting to the top is one thing, but how you get there is everything.